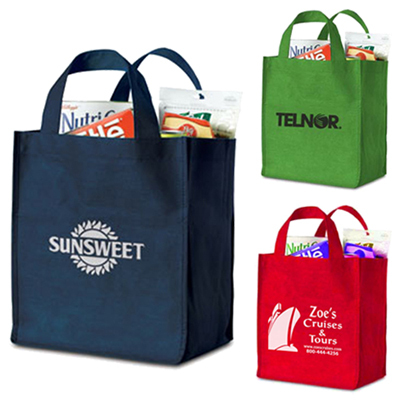 These Personalized Polytex Deluxe Grocery Bags are recyclable, with reinforced panels and a vinyl bottom insert, making them one of our sturdiest bags. 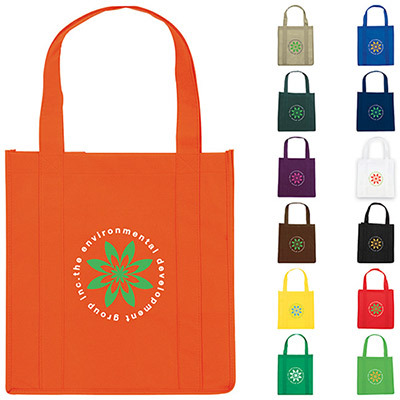 Add to that the various colors this Promotional Product comes in and we have a great tote. 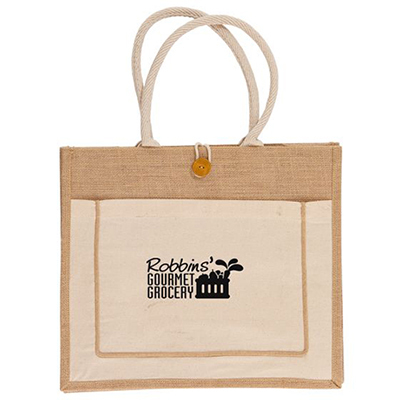 Make the natural choice, and buy these Promotional Polytex Deluxe Grocery Bags as giveaways NOW! 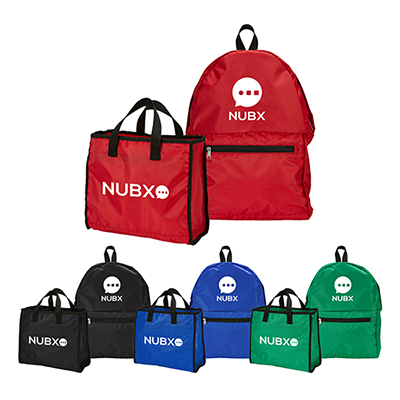 "These bags worked very well with my audience since they are reusable and made of recycled materials." "Nice colors, great imprints. On the whole, a very presentable promo. " Market your message from every angle!